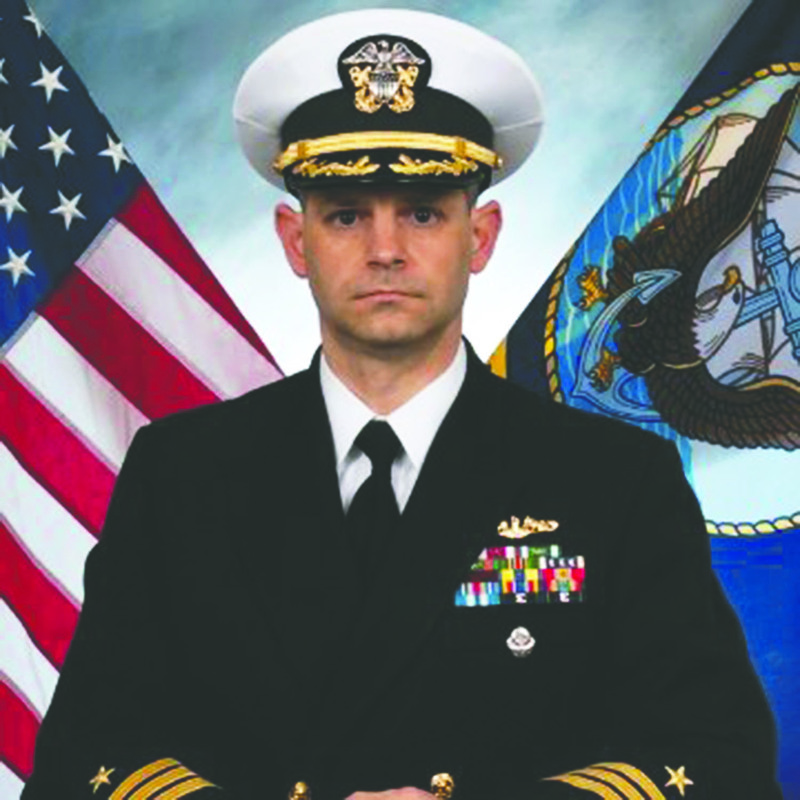 On Friday the 18th day of December 2015 Commander Timothy M. Clark, a native of Johnston, South Carolina, took command of the USS West Virginia (SSBN 736)(GOLD). The Change of Command Ceremony was held at the Naval Submarine Base Chapel Kings Bay, Georgia. Commander Clark started his Navy career as an enlisted Nuclear Machinist Mate and following completion of his initial training he reported aboard the USS Montpelier (SSN-765) based in Norfolk, Virginia. While assigned to Montpelier he participated in the ships construction, commissioning and post delivery testing. 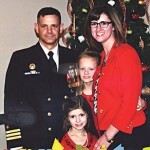 In 1998 he graduated with honors from the United States Naval Academy with a Bachelor of Science Degree in Political Science and earned a Masters Degree in Leadership and Human Resource Development from the Naval Postgraduate School in 2004. In November 2015, he reported to USS West Virginia (SSBN-736) (GOLD) as Commanding Officer. 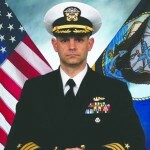 His previous sea tours were as a division officer on USS Rhode Island (SSBN-740)(BLUE) in Kings Bay, Georgia from 2000-2003, the Engineer Officer on USS Montpelier (SSN-765) in Norfolk, Virginia 2006-2009 and Executive Officer on USS Boise (SSN-764) in Norfolk, Virginia from 2011-2013). His experiences at sea include five strategic deterrent patrols, a Mediterranean and Arabian Gulf deployment and a North Atlantic deployment. Shore assignments were as the 18th Company Officer at the United States Naval Academy in Annapolis, Maryland from 2003-2006. Flag Aide to the Commander, Submarine Forces in Norfolk, Virginia from 2009-2011 and as an Action Officer assigned to the staff of the Assistant Secretary of the Navy for Research Development and Acquisition in Washington, D.C. from 2013-2015. 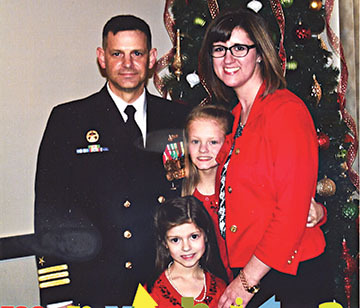 Commander Clark has been awarded a variety of decorations, but is most proud of the unit awards that the submarines he has served on have earned during deployed operations. Commander Clark is married to the former Allison Williams of Johnston, South Carolina. They reside in Saint Marys, Georgia with their daughters Emily and Bailey. He is the son of Johnny Clark and the late Joyce Clark of Johnston, South Carolina.